DO YOU NEED A LAWYER in Cincinnati, Ohio? Find excellent attorneys for all of your needs at our firm. Find out more about our law practices by clicking an icon above. You may also be interested in what our other clients think about our outstanding service. Our Cincinnati lawyers take pride in having great communication with their clients. Any licensed lawyer can represent you. Why not choose one with great customer service as well? OUR CINCINNATI, OHIO OFFICE is our second location. It opened in 2008. We are on Sycamore Street between East 8th Street and East 9th Street. Our office is on the 5th floor. There is metered parking all around the building. Our Cincinnati, Ohio office handles all of our practice areas. We service all of Southwestern Ohio. CASH, CASHIER’S CHECK, OR CREDIT CARD. Payment plans available. Call for details. LOOK FOR A DIVORCE ATTORNEY who is aggressive, caring, and competent if your marriage is ending. The divorce attorneys in Cincinnati at our firm are proficient in their family law practice. Whether you need help with a divorce or a dissolution we can help you. IF YOU NEED CUSTODY ATTORNEYS IN CINCINNATI, OHIO we can help you as well. Our custody lawyers will negotiate your child support and visitation agreement. DEBT IS A TOPIC OF CONVERSATION that many Cincinnati residents can relate to. We all likely have some form of debt. Some of us have much more debt than others for a variety of reasons. Credit cards and loans can be a blessing in a time of need when you have no money to pay for a much-needed product or service. They can also be your worst enemy if you are not able to keep up with the monthly payments. 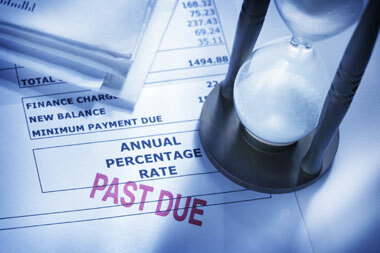 Our Cincinnati bankruptcy attorneys evaluate debts on a regular basis. Each client has his or her own story, but all of our clients can relate that debt has simply taken over their lives. There is a way out. Chapter 7 and Chapter 13 bankruptcy are tools available to consumers like you. They allow for the elimination of debt in a way that causes the least harm to your financial situation. Finding an experienced bankruptcy attorney can be important to the outcome of your case. Our Cincinnati bankruptcy attorneys regularly file both Chapter 7 and Chapter 13 cases. We are a debt relief agency. Our attorneys help you file your bankruptcy by evaluating your financial situation. Find out if you qualify to keep you home, your car, and stop wage garnishment. Financial problems even impact people with great intentions. Our Bankruptcy attorneys in Cincinnati helped thousands of people with debt problems just like you. We can help you save your home, save your car, and keep your property. Our bankruptcy lawyers can even stop bank account garnishments and wage garnishments. Our Cincinnati office employs top attorneys that represent people in Chapter 7 and Chapter 13 cases. You are not required to have an attorney to file, but they can make the process easier for you and avoid potential problems. The first step before pursuing any bankruptcy proceeding is to speak with an attorney. Once you have determined whether to file for Chapter 7 or Chapter 13 bankruptcy in Cincinnati, you will file a petition with the United States Bankruptcy Court for the Southern District of Ohio. A trustee will be appointed to oversee your bankruptcy case to ensure your debt is being discharged properly and efficiently. The type of bankruptcy you can pursue will be heavily dependent upon what assets you own, and what assets you want to keep from your creditors. Chapter 7 bankruptcy in Cincinnati? Your attorney will help you determine which bankruptcies you do and do not qualify for, if any. They will be able to explain how each will affect your specific situation. With Chapter 7, or “liquidation” bankruptcy, any unprotected assets can be sold in order to satisfy the debt. In most cases your assets are protected through various state exemptions. This is a good way to eliminate your debt as quickly as possible in order to start fresh. The entire Chapter 7 bankruptcy process typically takes three to four months, but in some cases can take longer. Regardless of whether bankruptcy may be right for you, it is at least something to take into consideration with the advice of one of our Cincinnati bankruptcy attorneys. When it comes to debt, having a truly skilled legal professional advocating on your behalf is essential to ensure you are eliminating your debt in a way that works best for you. Chapter 13 bankruptcy in Cincinnati? With Chapter 13 or “reorganization” bankruptcy, your creditors will not be able to take your home, car or other property. Instead, you will eliminate your debt by agreeing to the terms of a court-approved repayment plan that your trustee oversees. This repayment plan could take anywhere from three to five years to complete (or until your debt has been satisfied). You will be able to keep your home and other property. This is a great option for individuals who are able to manage monthly payments and have a steady income. However, it is important to keep in mind that with Chapter 13 bankruptcy, your repayment plan may need to be adjusted from time to time to account for changes in your financial circumstances. We understand that the stress involved with financial turmoil can be overwhelming. We know that this stress can be difficult to manage at times. Your attorney will work to resolve the issues and eliminate the stress that you are feeling. 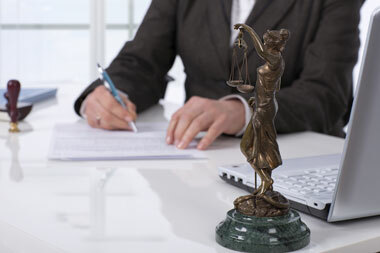 Providing you with personal attention and tremendous legal representation is our primary goal. Our legal fees are always kept affordable when we are helping you through this difficult time. We provide a free telephone consultation to help you determine if bankruptcy is the right choice to resolve your legal needs. If bankruptcy is the proper option, you will then sit down with one of our Cincinnati bankruptcy lawyers for your initial meeting. You will meet with an attorney, not some other staff member like some other firms. Our Bankruptcy department ensures that all work conducted is always supervised by an experienced attorney that is highly respected in the legal community. We are extremely proud of our reputation. Making our clients happy is something we work very hard to accomplish. Reviews and rankings on-line and on our website support that our lawyers provide top rated legal services. We will not file a case with the court until our clients understand all debt relief options. Your Cincinnati bankruptcy lawyer will personally review your situation and answer your questions. Bankruptcy is a team effort. Therefore, your attorney will always be available for you. We believe in this T-E-A-M concept because Together Everyone Accomplishes More! A CRIMINAL DEFENSE ATTORNEY can be crucial to the outcome your case. 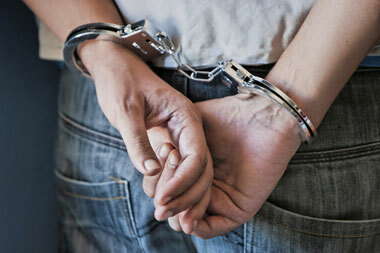 The criminal defense department at our firm can help you with misdemeanor and felony cases in Cincinnati. If you’re facing a DUI / OVI charge and possibly losing you license our lawyers can assist you. Let us represent your criminal case.